REI respects a diversity of opinions on topics such as access to public lands, and we encourage passionate voices in the outdoor community to speak up. The following post was written by Gavin Woody, a former U.S. Army infantry captain (Airborne Ranger) and decorated combat veteran who served in Iraq, in partnership with The Wilderness Society. 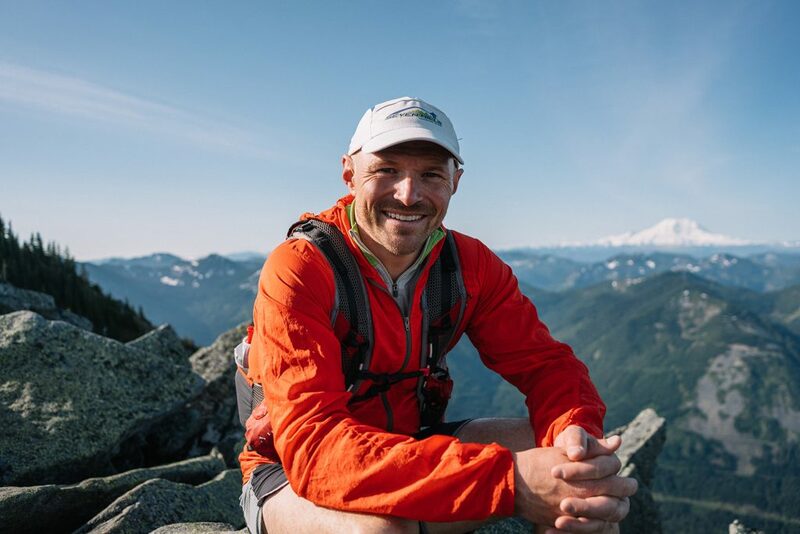 He is the former volunteer president of the board of The Mountaineers, a 12,000-member nonprofit focused on helping people in the Pacific Northwest learn about, explore and conserve the outdoors. When you come home from war, your body may be back home, but your mind is often still on the battlefield. Whether from the aftershock of bombs or the constant barrage of bullets, you hear those sounds—and often feel them—again and again. What this chaos does to your mind is sometimes the hardest to move past. I lost good friends and fellow Rangers in Iraq. I lost precious time with my family. But in the wake of all the noise and madness, I’ve been able to find clarity of purpose that comes from getting out on a trail. I’ve found freedom and healing by engaging with the natural world—first as a survivor and now, as its protector. As Americans, we are collective owners of some of the most beautiful and peaceful landscapes on Earth. Our national parks, forests and deserts are the envy of the world. During the ugliest times on the battlefield, I drew on my experiences growing up as a Boy Scout to remember both the beauty of the outdoors and the skills I learned about self-reliance. That peace of mind, those reminders of all that is beautiful and pure and safe—those are fundamental rights that have been given to us by generations before us when they advocated to preserve America’s parks and public lands. We cannot let these places, or the right to enjoy them, be taken away from us. When I came home from Iraq, the public mountains and forests near our Seattle home brought not only relief from the traumas of war, but exciting challenges for my mind and body. And they remain places to create lasting memories with my wife and two little ones. I’ve been lucky enough to celebrate a few personal achievements outside of my combat duty: summiting the volcanoes near Seattle seventeen times, completing several Ironman triathlons, skiing off the summit of 14,410-foot Mount Rainier, running the 223-mile John Muir Trail in four days, and, most importantly, introducing my two young children to the wonder and joy of the natural world. 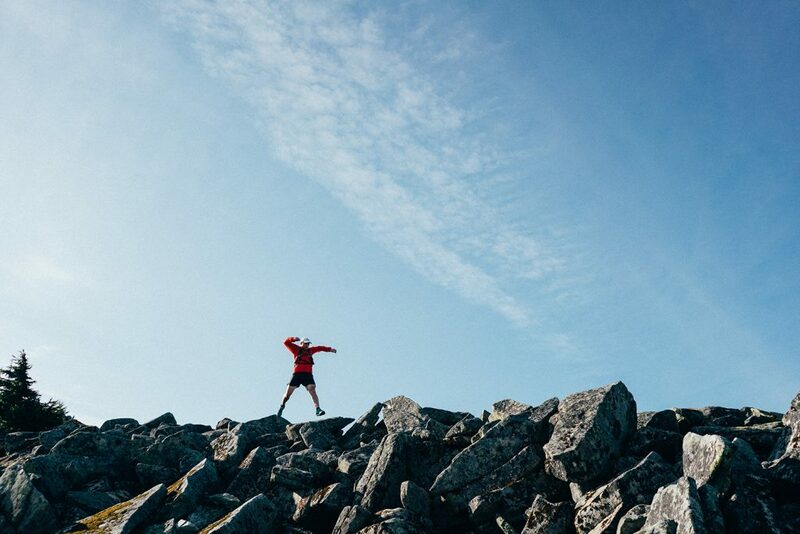 When I’m getting ready for a solo multiday trek, people ask me all the time, “What do you think about when you’re out there?” And the answer is always that I think about running—because I have to. It’s what keeps me sane and what keeps me grounded in the beauty that’s around me. Otherwise, I’d be lost in the chaos of Iraq and all that I left there. I’ve come to realize that the wild asks only two things of us: our full attention and our constant respect. In return, it offers healing, adventure and a new perspective on our lives. None of this would be possible without the spectacular public land that is available to all Americans. Unfortunately, several members of Congress and various state legislatures have undertaken a misguided plan to give our public lands away to the states. This means that, someday, Americans might show up at places like the Maine Coastal Islands National Wildlife Refuge, the Superior National Forest in Minnesota, or my own Mount Rainier National Park in Washington, only to find a fence and a “No Trespassing” sign because the land was sold to a private interest. If that had been what I found when I got home from my tour in Iraq, I have no idea where my life might have ended up. Whether deep in the wilderness or in a park just on the edge of town, our public lands are an irreplaceable resource, not just for veterans, but for all Americans. That’s why we should all be willing to stand up and defend them. There are millions of veterans trying to make the transition to life at home, and millions more Americans trying to help them as best they can. Now is the time for us to speak up for America’s public lands. Let’s protect the wild places that best exemplify our shared values of freedom, equality and courage. And let’s honor those who died so that we may still enjoy the peace that the natural world so freely gives. Learn more about the Wilderness Society. Great story — thank you REI for sharing this! Sadly, most Americans have bought into the lie that only the Federal government is capable of protecting and administering public lands. But the reality is that local government is in a better position to appropriately administer these lands than some bureaucrat in Washington D.C. Don’t fall for the lie that they’re attempting to turn over the land to the states so that they can sell the national parks to a private interest. Make no mistake, cash-hungry states would sell or lease these shared national lands to the highest bidder for logging, mining or development and that’s why ALEC and the Koch brothers love the idea of giving national lands to states. That plan is written right into the legislative and budget proposals introduced in this Congress.